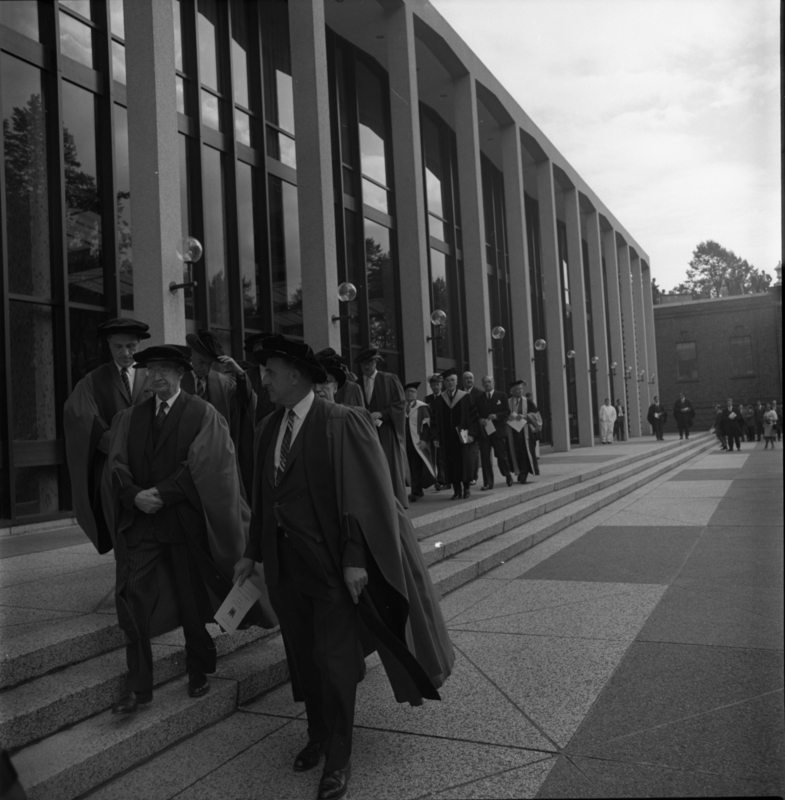 Item is a photograph of a procession of people in academic dress in front of the Tupper Building. The photograph was taken at the Dalhousie medical centennial convocation ceremony. Negative is accompanied by a proof of the photograph.